W. Allen Wallis, former president and chancellor of the University of Rochester, pursued a career in academia, business, and government. He advised presidents, including Dwight Eisenhower, Richard Nixon, and Gerald Ford, and from 1982 to 1989 he served as under secretary of state for economic affairs under Ronald Reagan. 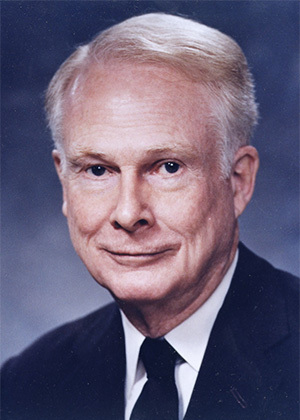 Wallis, a past president of the American Statistical Association, was known both for his innovative work in statistical methodology and for his forceful defense of freedom. Wallis has long and consistently advocated recognizing the role of free-market forces in improving society. The development of the W. Allen Wallis Institute of Political Economy honors his dedication to the combined study of economics and politics. Allen passed away on Monday, October 12, 1998.